Nike’s marketing slogan “Just Do It” has made that company a fortune selling shoes that cost a few dollars to make but routinely sell for ten times that. This is the third installment in the GND franchise, and in my thinking the best so far. The excellent screenplay by Michael Mason plays as if it was lifted from the day’s headlines. A random act of vandalism in the form of a tossed brick through the basement window of a historic church sets off a gas leak. That leak serves as the spark in a burst of spiritual enlightenment that involves the entire college community. Historic St. James church is pastored by Pastor Dave (David A.R. 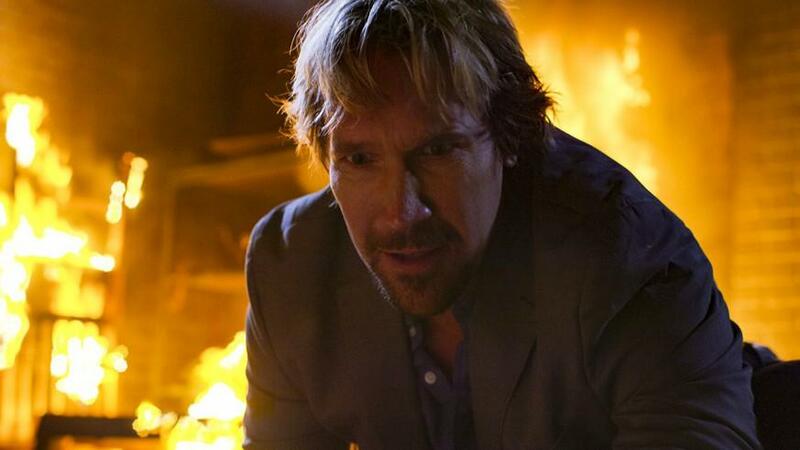 White), an amiable shaggy haired pastor who grew up with his now estranged brother Pearce (John Corbett) in the church pastored by their late father. Tragedy and anger ensue when Jude, a newly appointed co-minister from Ghana (Benjamin A. Onyango) is accidentally killed in the course of events. The contemporary story line occurs when Hadleigh University, on whose campus the St. James church is located, rebuffs the church’s plans to rebuild in favor of building a new student union building on the site of the burned church. College administrators and students argue that the church isn’t relevant in today’s culture. That contentious decision sets the stage for battles on multiple fronts as Pastor Dave and his athiest brother Pearce work together to rally public support for rebuilding the church via social media, TV interviews and newspaper coverage. GND3 emphasizes that listening to others is better than shouting slogans, seeking understanding is better than stoking strife, and love always triumphs over hate. Most importantly, the movie shows that if we check our egos and emotional baggage at the door, and treat others as we wish to be treated, it is then that God works through us and helps fulfill His purpose. During the day I am a humble blogger, copywriter and content creator for an Indiana insurance company. At night and on weekends, I enjoy riffing and writing on current events, American history, popular culture, and faith-based issues - hence this blog. I have been published in USA Today, the Washington Times, the Indianapolis Star and LifeZette.